Squirrel Removal and Squirrel Control Services! 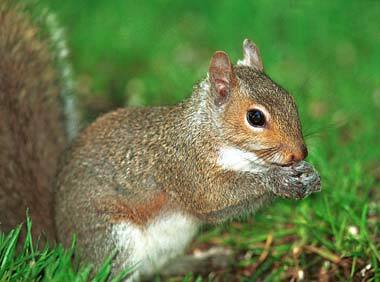 Squirrel Removal is a common service provided by Hayman Wildlife Management throughout Southwestern Michigan. Since squirrels are used to being around humans, they are more inclined to invade your home or business. They have been known to run across power lines, run down sidewalks, and can be found on the roof of your property. This can be problematic as they can find ways to get inside your attic. Squirrels are the second most destructive animal, second only to the raccoon. 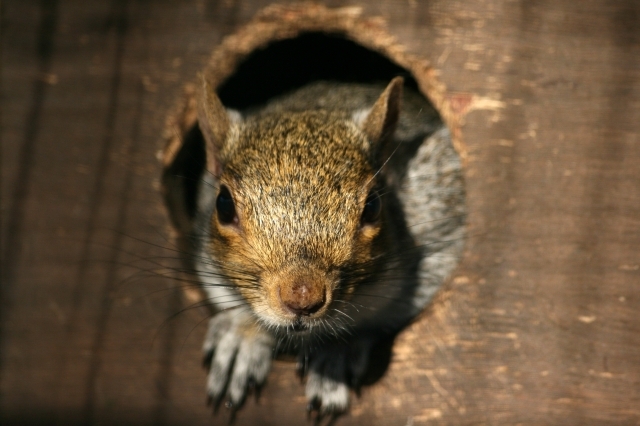 Squirrels can do over $2 billion of damage a year to homes and businesses. The most common types of Squirrels found throughout Southwestern Michigan are the Fox Squirrel, the Gray Squirrel, the Red Squirrel, Flying Squirrel, Eastern Chipmunk, and the Thirteen-lined Ground Squirrel. Squirrels gnaw on whatever they can find, which can lead to expensive repairs for your property. One half of fires in the United States every year are due to Squirrels and other rodents chewing on power lines, TV cables, and any other substance to satisfy their urge to gnaw. They can greatly damage the R-value of your insulation. Squirrels will defecate and urinate on your insulation essentially matting it down to the point that it provides no thermal value to your homes thermal resistance. Squirrels are excellent at finding entry points on your home to gain access to a safe place to have their young. The most common ways they make their way into your home is through vents. Once the squirrel is inside the attic areas, they will chew a secondary hole in the house that will serve as another entry or exit point. If you have secured all the vents with the proper screening and the squirrels are still making their way into your house, chances are the have chewed a hole in the fascia or soffit area of the home. Squirrel holes can range from the size of a quarter to the size of the softball. Squirrel removal is a time sensitive issue due to the fact that if you leave the animal in the attic area for a long time, you may need insulation replacement. Hayman Wildlife Management is specially trained and equipped to handle all of your wildlife problems. Our Wildlife Experts are also experienced in animal waste removal and insulation repair. Call us at 269-588-0176 for all of your wildlife problems.